Many people wouldn’t think of going online and visiting their social media pages to buy a car. But it’s an idea that has been catching on. The negative experiences many of consumers have had while shopping for cars at dealerships has spurred the growth of online auto shopping on a variety of sites. Costco has an online auto program, frequently advertised on its company social media pages, to help its members buy new and used cars online. They advertise partnerships with more than 3,000 auto dealerships throughout North America. Once you get a price you like, your cost is guaranteed when you arrive at the dealership. On top of that, participating Costco members get to avail themselves of any and all current manufacturer’s buying incentives. With those kinds of enticing benefits, it’s no wonder why savvy Costco members take advantage of online offers when it comes time for them to purchase a new or used vehicle. The site is easy to use, too. When you first visit the home page, you simply enter your zip code. From there, you can browse my make, model, color, year, condition (new or used), dealer, and more. The more conditions you set up, the narrower your choices are, and the better you’ll be able to find what you’re looking for at a dealership near you. Of course, ultimately, you do still have to visit the dealership to actually buy the car. eBay has had a motor vehicle category in its listings almost since its inception. When looking at the article “Can you buy a car without ever going to a dealership?” the answer is yes; if you buy it on eBay. There are many reasons why people buy and sell cars on eBay. First, it’s inexpensive. Second, many people are in the automotive buying and selling business, and they don’t care too much what condition an auto is in before they buy it. Third, it provides yet another way to advertise a car for sale and get the ad out in front of thousands of potential buyers. Though eBay isn’t a social media outlet per se, it does operate a very active and successful buyer’s guide and blog that people can subscribe to. 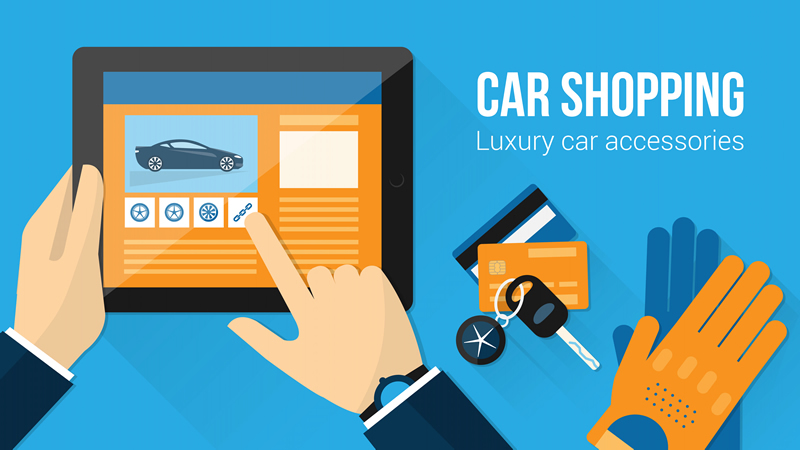 This blog attracts buyers to the site and to individual car sale listings as well. As with other online car buying and selling tools, a face to face interaction is still required to complete the purchase. There are loads of Facebook selling groups that are targeted in specific ways. Some are for local folks who live in a particular region, some are for people who share a common hobby – such as automotive tinkering – and others are for people who just want to discuss specific topics, like vehicles. Increasingly, Facebook users are signing up with groups and posting items like cars for sale. The ads are free as long as they are posted on the group page, and members understand that they can express interest and see the vehicles in person if they so choose. Unless you’re willing to buy a car completely unseen except for some online photos, it doesn’t make sense to buy a car without test driving it in person. Maybe someday in the future there will be virtual reality classified ads for social media. Until then, you still more times than not have to get in your car to drive to see the new car you’re thinking of buying. About the Author: Kate Supino writes extensively on business and buying trends in the U.S.
← Are Your Business Workflows Working For You?